Mehbooba added that measures, which were unheard of in the past, were taken by the PDP-led government. Srinagar: Former Jammu and Kashmir chief minister and PDP chief Mehbooba Mufti on Sunday said her party will make every sacrifice to preserve Article 35 A of the Constitution, which is facing a legal challenge in the Supreme Court. Addressing a workers meeting of the PDP at Kangan in central Kashmir’s Ganderbal district, Mehbooba said her party was committed to preserve the sanctity of Article 35 A. “During my government, I made every effort from engaging top notch lawyers to raising political awareness in the country and the state about the need for protection of Article 35 A. In future also whatever will be required, me and my party will do (it) for protecting the special status of the state,” she said. The PDP president said resolving the problems in Jammu and Kashmir and working towards peace in South Asia by ensuring Indo-Pak friendship were the founding principles of her party. “Ever since its formation, the PDP has been striving hard for realising these objectives with all seriousness,” she said. “When our party formed government in 2002 with the Congress, we laid out a schematic plan for attainment of these basic goals and bringing succour to common masses in the state,” she added. 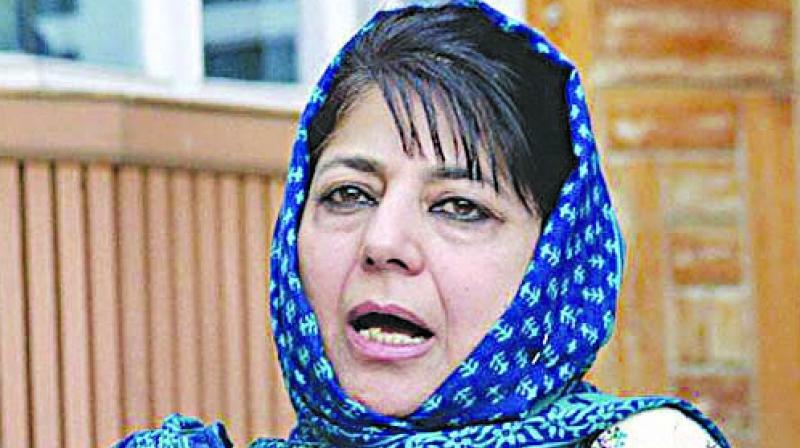 Mehbooba added that measures, which were unheard of in the past, were taken by the PDP-led government to get the ball rolling on several vexed issues.